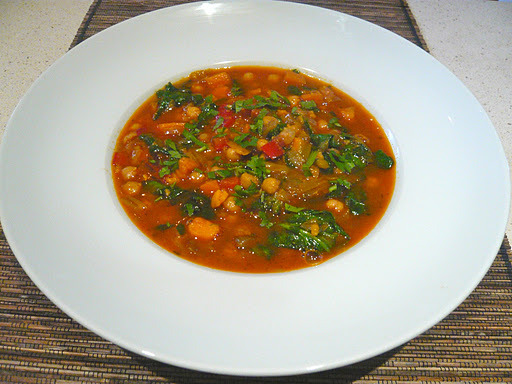 I don’t often use the word ‘quick’ when referring to my recipes as I don’t normally focus on that kind of quick cooking, but from start to bowl this delicious soup takes 30 minutes – 20 of those were letting it cook. 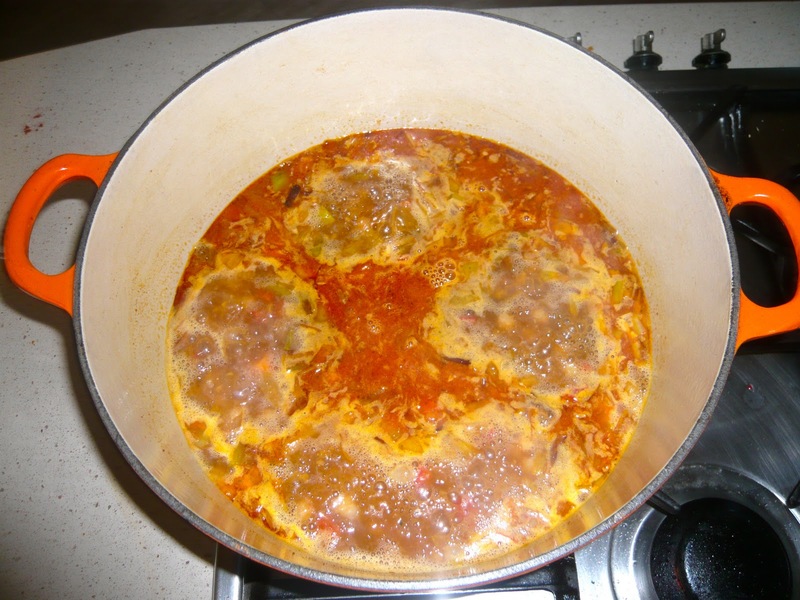 This is a typical lunchtime soup across Spain that you would find on any ‘menu del dia’ in cafes, bars or restaurants. I always put in a handful of something green at the end to cook in the soup – in this instance I used spinach because that’s all I could find in my local shop, but it can be any green vegetable – cut it so it fits into the rest of the soup. Make sure you allow for it’s correct cooking time eg. 1 minute for spinach, 5 minutes for peas, 7 minutes green beans. Always taste to be sure. You can also use any bits of vegetables that you have left in your fridge. The onion, carrot and garlic are important as the base. I had sweet potato and red pepper in my fridge to use up and it really worked. It will make for a better soup if you cut all the vegetables the same size. Cut the vegetables into 1cm pieces. Open and rinse the chickpeas. Fry off the vegetables and garlic in olive oil. 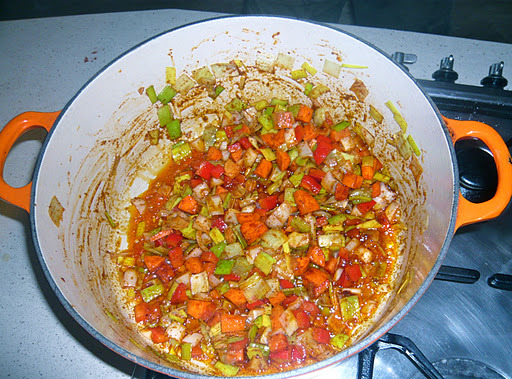 When they are looking a bit brown, add the paprika, stir well and then add the stock. When it comes to the boil turn the soup down. Cook for a further 15 minutes then add the chick-peas. Cook for another 5 minutes. Turn off the soup, grind some black pepper into it, then add the spinach and parsley and leave with the lid on for a minute. Taste for seasoning and serve.